Let’s face it, If you ever find yourself in a police interrogation, stress and fear will probably overwhelm your rational thinking. Being aware of the special techniques professional interrogators use, including their tricks and manipulation, may help you come out of this ordeal with minimum damage and maybe even gain the upper hand. Have you ever given thought to how an interrogation room looks like? It is usually a small inner room in a police station. The walls are naked, thick and soundproof. The layout is specially designed to make you feel isolated, alienated and claustrophobic. There are 2 or 3 uncomfortable chairs, one for you and the rest for the interrogators. In addition, there is usually a one-way mirror through which others can see you while you cannot see them. The sense of distress and discomfort the room generates serves one purpose: to emphasize your weakness and dependence and put you at a major disadvantage that later on will help the interrogator crack all the defensive walls you may build around you. 1) The interrogator will try to establish a basic trust between you and him. He will use this trust to try and extract important details from you as the interrogation moves forward. Your body language – the direction you move your eyes when you require to remember or to think about something. What makes you feel embarrassed and how you cope with embarrassment. Are you the introvert or the extrovert type. What your moral grounds are. Most important, your tendency to become stressed and whether you can control your nerves. Your behavior and reactions will be recorded and be used later on to assess your credibility. It is recommended at this preliminary stage to be nonchalant as much as possible and to give laconic answer to any question you will be asked. Don’t be tempted to make friends with your interrogator. It won’t serve you later on. The Reid Technique, which was invented by the polygraph expert John Reid in the 1940s, lays out the basic guidelines for a criminal interrogation used by the great majority of police interrogators today. Therefore, it is important to become familiar with these guidelines so you won’t be caught unguarded. The interrogator will bombard you with plenty of evidence pointing at your guilt. Some of the evidence is going to be true, but other pieces might be false. The aim is to put you under immense stress (after all, who can dispute “clear cut” evidence) and throw you off balance. Typical body reactions to this stressful situation include fidgeting, increased sweating, and restlessness. The interrogator will get closer to you invading your personal space and increasing your discomfort. The interrogator will attempt to come up with a narrative that rationalizes your criminal act. For example, ‘you did this or that because….’, ‘you had no choice but to’…’If I were you, I would do exactly the same’, etc. He will try to give you a line of story you can identify with and even justify your alleged crime, thus paving the way for your confession. You must stick to your version at all cost and avoid taking part in the interrogator’s story as much as it may sound rational at that moment. The interrogator will abruptly stop you any time you will try to deny your involvement in the crime. He will prove you wrong while finding any way possible to dispute the common sense behind your explanations. He knows that when you are out of denials, you will stay with nothing but his “truth” regarding your guilt. At this point in the interrogation, you will probably be exhausted. You will feel lonely and distress. The interrogator will capitalize on your exhaustion and your desire to get over with it and show you the brighter side of his personality. He will suddenly become a nice person showing “genuine” concern for you. He may offer you something to drink or a cigarette. He may say that he sympathizes with you and may even pat you on the back or tell a joke. You mustn’t fall for this good cop façade. The interrogator tries to exploit basic psychological weakness that is found in every person: we don’t want to be ungrateful to someone who has been good to us. Doing this will bring back the awful person he was a couple of minutes ago. After you have experienced the interrogator’s both sides, the good and the bad, you are ready for the final stage leading to a confession. The interrogator will present you with two motives for committing the crime – one is acceptable, the other is morally repugnant –hoping you will swallow the bait and choose the acceptable motive as an easy way out. For example, ‘you robbed the store because you really needed the money; you had no intention of hurting anybody’vs.’you robbed the store because you are a sociopath who has no respect for the law’. Once you have chosen the easy way out, game over. You are confessing the crime. The interrogator will encourage you to talk about it knowing that the more you talk, the more it becomes deeply rooted narrowing the possibility that you may change your mind. To make your confession valid, you will be asked to put it in writing or videotape it. At this point, you can expect another interrogator to appear in the room not only as a witness but also as a means to exert more pressure on you: seeing another interrogator out of the blue may stress you even further and will make you want to get over with it as soon as you can. The law does not allow the police to obtain a confession using physical torture. The only alternative they have is to resort to psychological manipulation and tricks to lead the suspect exactly to where they want him to be. In the end, an interrogation is a mind game between the interrogator and the interrogee. If you know how to exercise self-control, you will be able to come out of it with the upper hand. 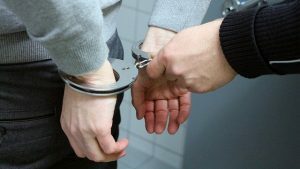 To find out if a person has ever been interrogated, charged with a crime or taken into custody, we recommend carrying out an arrest records search using the advanced online tool provided by usarrestsearch.org. © 2019 USARRESTSEARCH.ORG All Rights Reserved.